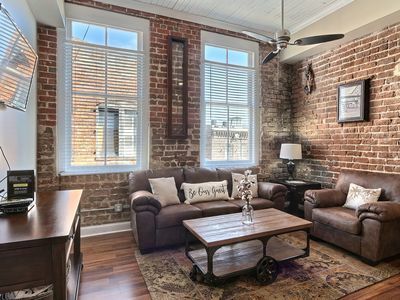 Stylish Loft-Living in the Heart of Downtown Savannah! 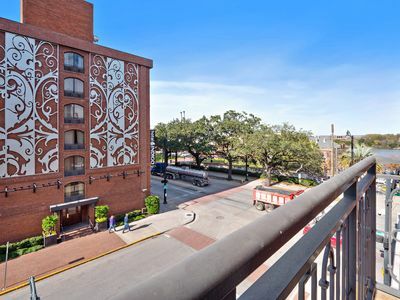 There is no better way to enjoy Savannah than by staying in a property that combines the fun of an urban loft with the charm of a classic Southern abode. 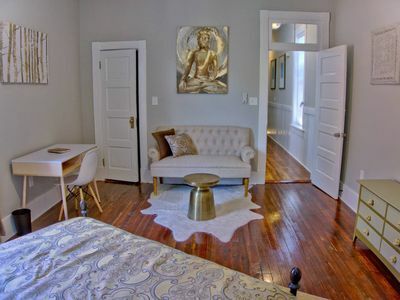 Broughton Hideaway is a property that checks all the right boxes when it comes to providing a comfortable and hip place to call home for a few nights while enjoying the best that Savannah has to offer. 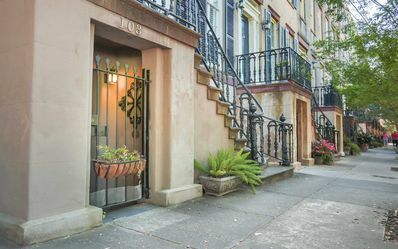 Its location on Broughton Street makes it one of the most coveted vacation properties available. 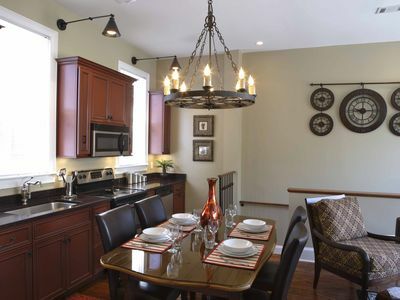 This home can comfortably accommodate four guests. It features two bedrooms and one bathroom. 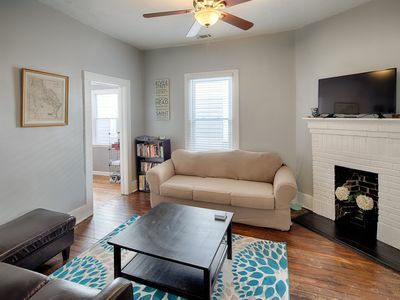 It offers a total of 700 square feet of cozy and charming space that provides a refuge from the outside world. 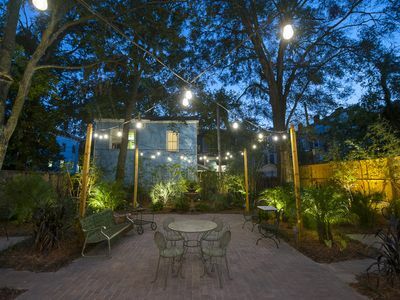 Many people enjoy staying at properties like Broughton Hideaway when visiting Savannah because it offers the experience of staying in a mixed-use neighborhood that pairs residences with shops and restaurants. 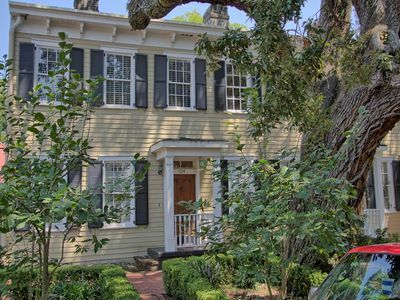 Are you looking for one of the best vacation rental homes in Savannah, GA? Get ready for a hip, exciting experience when you step through the doors of Broughton Hideaway and set your bags down. The brick walls inside Broughton Hideaway will grab your attention from the moment you step inside. This detail provides a heavy dose of rustic, urban charm. Recessed lighting, exposed piping and rustic white ceilings give this space a very roomy and open vibe. You'll also enjoy a ceiling fan that keeps the main living area nice and cool. The main living space of this property offers an open layout that allows you to glide seamlessly between the living room and kitchen. 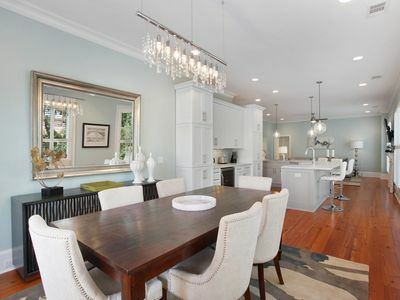 The kitchen inside this property features modern cabinets, new countertops and new appliances. The kitchen also features attractive tile flooring. The living room features shiny wood floors. The main living area of Broughton Hideaway leads to a hallway that features the bathroom and bedrooms. This hallway has wood floors and new lighting fixtures. The home's bathroom is completely updated. It features a bathtub with shower. 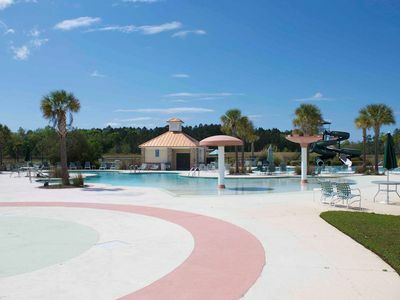 This property comes equipped with many features that help to make it an ideal place to stay when visiting Savannah. The home has two queen beds. Flat-screen televisions are located in the bedrooms and bathroom. Guests can enjoy WiFi when staying here. 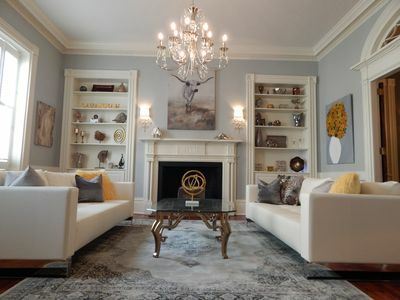 Of course, the home's gourmet kitchen, open floor plan and location right in the heart of downtown move it right to the top of the list of the best places to stay in Savannah. 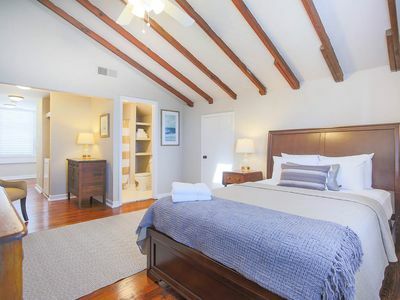 Broughton Hideaway is a loft-style beauty that truly puts the best that Savannah has to offer right at your fingertips. 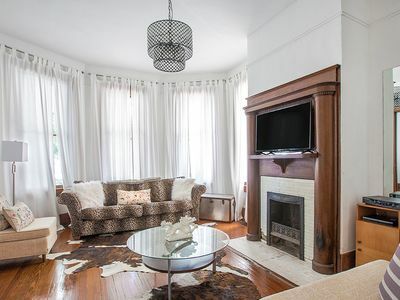 This home is a great option to consider if you prefer the idea of simply walking outside your door each day to grab something to eat at a charming café with authentic local flair without the need to get in a car or arrange for transportation. 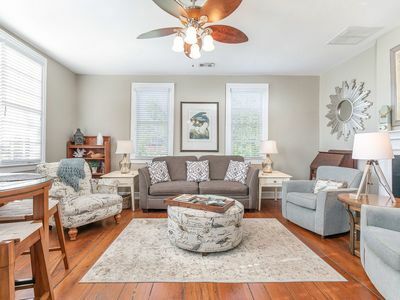 In addition, the location of this home makes it an ideal choice for anyone who would prefer not to have to rent a car while staying in Savannah. You can simply walk outside to be greeted with all the fun that bustling Broughton Street has to offer! Broughton Street is where you'll find some of the best shopping in all of Savannah! You'll find everything from vintage clothing shops to high-end furniture stores. There are also tons of high-end markets and boutiques to enjoy. Of course, you wouldn't want to spend an afternoon shopping along Broughton Street without stopping at a place like Leopold's Ice Cream to enjoy its marble soda fountain and traditional-style ice cream. 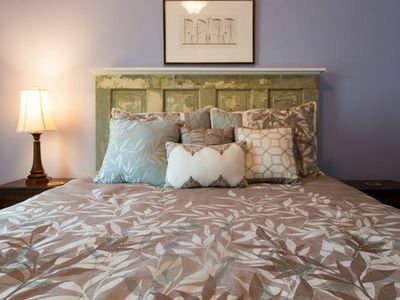 Broughton Street isn't just an amazing place to stay because of all the great attractions it offers. 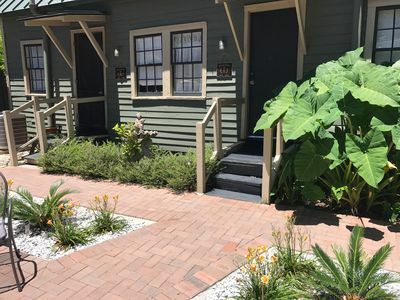 It's also a great place to stay because it offers such easy access to the rest of the top attractions that are peppered throughout Savannah's iconic streets. Savannah is a place that's haunted with history, tradition and romance. 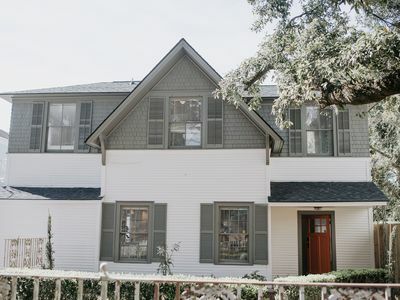 This is obvious when visiting popular spots like Forsyth Park, Lafayette Square or the homes scattered throughout the Savannah Historic District. 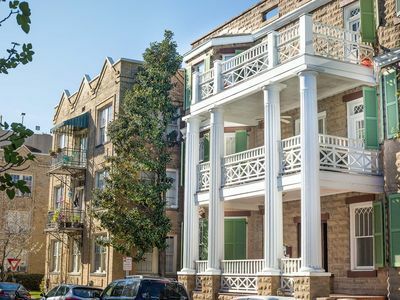 In addition, spots like Lafayette Square, the Andrew Low House, City Market, Riverfront Plaza, the Mercer Williams House Museum and the Sorrel Weed House will weave an intricate picture of the city's rich culture, fun vibe and deep history for you. Many people also enjoy touring spots like Bonaventure Cemetery and taking haunted tours throughout the city after nightfall. Visiting River Street is essential if you really want to tap into the heart of Savannah and participate in some of the best festivals and cultural events hosted by the city throughout the year. River Street is also home to some of the best pubs, nightclubs and boutiques that you'll find in Savannah. 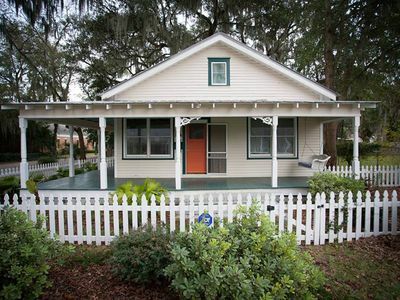 Staying in a great place like Broughton Hideaway offers a fun and convenient way to put Savannah at your fingertips. 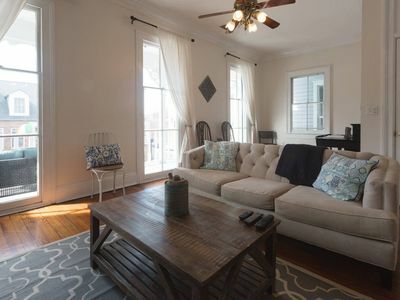 Spending time relaxing inside this updated loft-style property is almost as fun as going out and enjoying all of the magic of this Southern city. 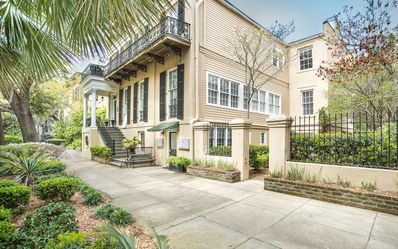 Broughton Hideaway is definitely a spot to consider whether you're coming to admire Savannah's splendid architecture and lush, fountain-filled parks or you're planning to experience Bacon Fest, the Savannah Craft Brew Festival, the Pin Point Seafood Festival, the Savannah Film Festival or the Telfair Art Fair. Beautiful Historic Cottage located on a quiet lane.